PIDIE JAYA, Indonesia, Dec 7 (Reuters) - Nearly 100 people were killed and hundreds injured in Indonesia on Wednesday when a strong earthquake hit its Aceh province and rescuers used earth movers and bare hands to search for survivors in scores of toppled buildings. Medical volunteers rushed in fading evening light to get people to hospitals, which were straining to cope with the influx of injured. Indonesian rescue workers carry a survivor from a fallen building after an earthquake in Ulee Glee, Pidie Jaya, in the northern province of Aceh, Indonesia December 7, 2016. Antara Foto/Ampelsa/via REUTERS ATTENTION EDITORS - THIS IMAGE WAS PROVIDED BY A THIRD PARTY. FOR EDITORIAL USE ONLY. MANDATORY CREDIT. INDONESIA OUT. Indonesian rescue workers carry a survivor from a fallen building after an earthquake in Trienggadeng, Pidie Jaya, in the northern province of Aceh, Indonesia December 7, 2016. 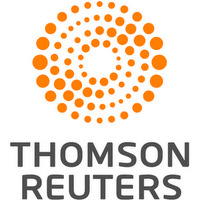 Antara Foto/Ampelsa/via REUTERS ATTENTION EDITORS - THIS IMAGE WAS PROVIDED BY A THIRD PARTY. FOR EDITORIAL USE ONLY. MANDATORY CREDIT. INDONESIA OUT. Injured people receive medical attention at a hospital following an earthquake in Sigli, Pidie regency, in the northern province of Aceh, Indonesia December 7, 2016 in this photo taken by Antara Foto. Antara Foto/Irwansyah Putra/via REUTERS ATTENTION EDITORS - THIS IMAGE WAS PROVIDED BY A THIRD PARTY. FOR EDITORIAL USE ONLY. MANDATORY CREDIT. INDONESIA OUT. Injured people receive medical attention in an emergency tent at a hospital following an earthquake in Sigli, Pidie regency, in the northern province of Aceh, Indonesia December 7, 2016 in this photo taken by Antara Foto. Antara Foto/Irwansyah Putra/via REUTERS ATTENTION EDITORS - THIS IMAGE WAS PROVIDED BY A THIRD PARTY. FOR EDITORIAL USE ONLY. MANDATORY CREDIT. INDONESIA OUT. A medical officer checks the condition of an injured child at a hospital following an earthquake in Sigli, Pidie regency, in the northern province of Aceh, Indonesia December 7, 2016 in this photo taken by Antara Foto. Antara Foto/Irwansyah Putra/via REUTERS ATTENTION EDITORS - THIS IMAGE WAS PROVIDED BY A THIRD PARTY. FOR EDITORIAL USE ONLY. MANDATORY CREDIT. INDONESIA OUT. Motorcyclists pass a damaged section of a road following an earthquake in Meuredu, Pidie Jaya, in the northern province of Aceh, Indonesia December 7, 2016 in this photo taken by Antara Foto. Antara Foto/Irwansyah Putra/via REUTERS ATTENTION EDITORS - THIS IMAGE WAS PROVIDED BY A THIRD PARTY. FOR EDITORIAL USE ONLY. MANDATORY CREDIT. INDONESIA OUT. An injured man arrives at a hospital following an earthquake in Sigli, Pidie regency, in the northern province of Aceh, Indonesia December 7, 2016 in this photo taken by Antara Foto. Antara Foto/Irwansyah Putra/via REUTERS ATTENTION EDITORS - THIS IMAGE WAS PROVIDED BY A THIRD PARTY. FOR EDITORIAL USE ONLY. MANDATORY CREDIT. INDONESIA OUT. People walk near a collapsed mosque following an earthquake in Meuredu, Pidie Jaya in the northern province of Aceh, Indonesia December 7, 2016 in this photo taken by Antara Foto. Antara Foto/Irwansyah Putra/via REUTERS ATTENTION EDITORS - THIS IMAGE WAS PROVIDED BY A THIRD PARTY. FOR EDITORIAL USE ONLY. MANDATORY CREDIT. INDONESIA OUT. Rescue workers use heavy equipment to search for victims in a collapsed building following an earthquake in Lueng Putu, Pidie Jaya in the northern province of Aceh, Indonesia December 7, 2016 in this photo taken by Antara Foto. Antara Foto/ Irwansyah Putra/ via REUTERSATTENTION EDITORS - THIS IMAGE WAS PROVIDED BY A THIRD PARTY. FOR EDITORIAL USE ONLY. MANDATORY CREDIT. INDONESIA OUT. Rescue workers try to remove a victim from a collapsed building following an earthquake in Lueng Putu, Pidie Jaya in the northern province of Aceh, Indonesia December 7, 2016 in this photo taken by Antara Foto. Antara Foto/Irwansyah Putra/via REUTERSATTENTION EDITORS - THIS IMAGE WAS PROVIDED BY A THIRD PARTY. FOR EDITORIAL USE ONLY. MANDATORY CREDIT. INDONESIA OUT. Rescue workers and police remove a victim from a collapsed building following an earthquake in Lueng Putu, Pidie Jaya in the northern province of Aceh, Indonesia December 7, 2016 in this photo taken by Antara Foto. Antara Foto/ Irwansyah Putra/ via REUTERSATTENTION EDITORS - THIS IMAGE WAS PROVIDED BY A THIRD PARTY. FOR EDITORIAL USE ONLY. MANDATORY CREDIT. INDONESIA OUT. The Aceh provincial government said in a statement 93 people had died and more than 500 were injured, many seriously. Sutopo Nugroho of Indonesia's national disaster management agency, said a state of emergency had been declared in Aceh, which sits on the northern tip of Sumatra island. 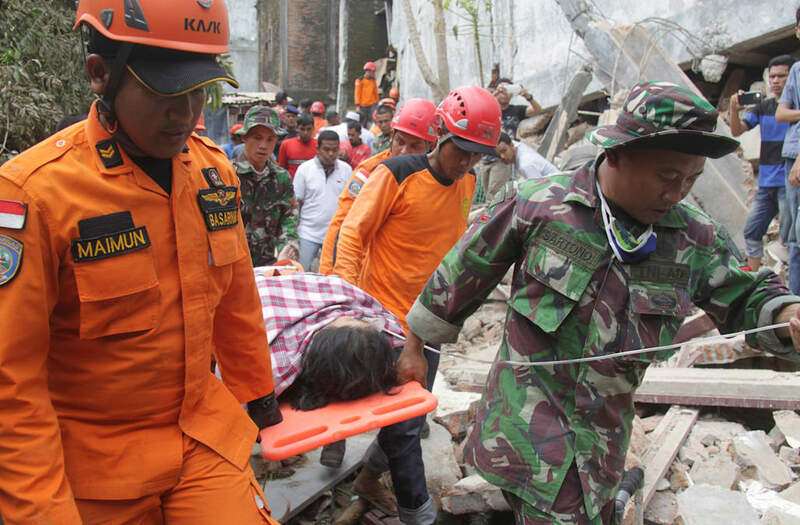 "We are now focusing on searching for victims and possible survivors," said Nugroho. His agency put the death toll at 94. Aceh was devastated by a massive earthquake and tsunami centered on its western coast near the provincial capital, Banda Aceh, on Dec. 26, 2004. That tsunami killed 226,000 people along Indian Ocean shorelines. Officials urged people to sleep outdoors as twilight fell, in case aftershocks caused more damage to already precarious buildings. President Joko Widodo was expected to visit the area on Thursday, his deputy told media. Wednesday's quake hit the east coast of the province, about 170 km (105 miles) from Banda Aceh. Nugroho said Aceh's Pidie Jaya regency, with a population of about 140,000, was worst hit. Many victims had suffered broken bones and gashes and had to be treated in hospital corridors and hastily erected disaster tents, a Reuters witness said. Television showed footage of flattened mosques, fallen electricity poles and crushed cars. A Red Crescent volunteer said health workers were struggling. "There aren't enough medical staff," the Red Crescent's Muklis, who like many Indonesians uses one name, told TVOne. Nugroho said more than 1,000 personnel, including military officers and volunteers, had been deployed to help in disaster relief. The U.S. Geological Survey said the quake struck just after 5 a.m. (2200 GMT Tuesday) at a depth of 17 km (11 miles). No tsunami warning was issued. At least five aftershocks were felt after the initial quake, the disaster management agency said. The region suffered massive destruction in 2004 when a 9.2 magnitude quake triggered a tsunami that wiped out entire communities in Indonesia and other countries around the Indian Ocean. Indonesia was the hardest hit, with more than 120,000 people killed in Aceh. Evacuees formerly stranded in the earthquake-affected town of Kaikoura stand alongside the helicopter that brought them to the town of Woodend, near Christchurch, New Zealand, November 16, 2016. Earthquake damage to State Highway 1 is seen south of Kaikoura on November 16, 2016. Rescue efforts after a devastating earthquake in New Zealand intensified on November 16 as a fleet of international warships began arriving in the disaster zone. A huge dam formed by a landslide as a result of the 7.5 earthquake, on the Clarence River north of Kaikoura on November 14, 2016 in New Zealand. The 7.5 magnitude earthquake struck 20km south-east of Hanmer Springs and triggered tsunami warnings for many coastal areas. Evacuees formerly stranded in the earthquake-affected town of Kaikoura stand alongside the helicopter that brought them to the town of Woodend, near Christchurch, New Zealand November 16, 2016. A buried vehicle tunne on State Highway 1 from the November 14 earthquake is seen south of Kaikoura on November 16, 2016. Rescue efforts after a devastating earthquake in New Zealand intensified on November 16 as a fleet of international warships began arriving in the disaster zone. A damaged car is towed by a breakdown mechanic at the scene where a man crashed his car into the sea on November 16, 2016 in Christchurch, New Zealand. A medical incident is to believed to have caused a man to drive his car off road, into the Avon-Heathcote Estuary. He is reported to be in hospital and no others were involved in the incident. Local residents Chris and Viv Young look at damage caused by an earthquake along State Highway One, south of the township of Blenheim on New Zealand's South Island, November 14, 2016. Products lie on the ground in a chemist after an earthquake on November 14, 2016 in Wellington, New Zealand. The 7.5 magnitude earthquake struck 20km south-east of Hanmer Springs and triggered tsunami warnings for many coastal areas. Waiwhetu Stream swells with flood water after a bout of severe weather on November 15, 2016 in Wellington, New Zealand. Wellington has been hit by torrential rain and gale-forced winds in the wake of the earthquakes, which killed two people. A strong after-shock brings a huge slip tumbling down a Valley in the Kaikoura Range on November 14, 2016 in New Zealand. The 7.5 magnitude earthquake struck 20km south-east of Hanmer Springs and triggered tsunami warnings for many coastal areas. The Waiau Lodge Hotel, in Waiau, 120 kms north of Christchurch, shows damage in the aftermath of a 7.5 magnitude earthquake on November 14, 2016 in Waiau, New Zealand. The 7.5 magnitude earthquake struck 20km south-east of Hanmer Springs and triggered tsunami warnings for many coastal areas. Rotherham Road, 110 kms north of Christchurch, shows damage and land slip in the aftermath of a 7.5 magnitude earthquake on November 14, 2016 in Waiau, New Zealand. The 7.5 magnitude earthquake struck 20km south-east of Hanmer Springs and triggered tsunami warnings for many coastal areas.